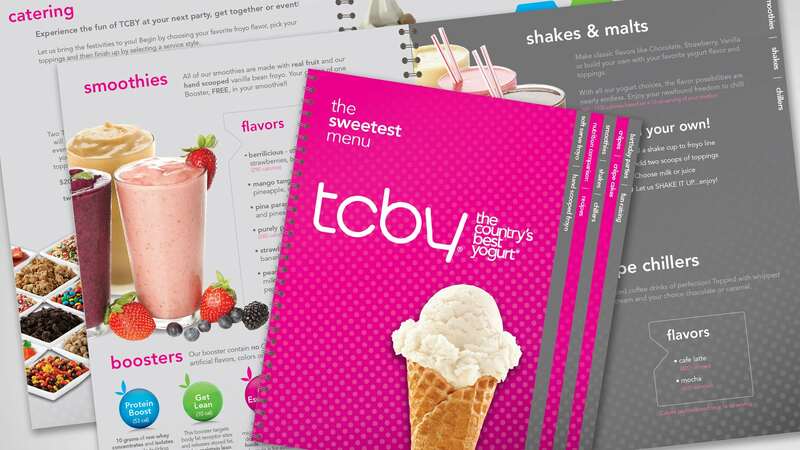 TCBY is a large corporate brand that Tenth Muse has performed work with to facilitate franchisee owners in Northern Colorado. 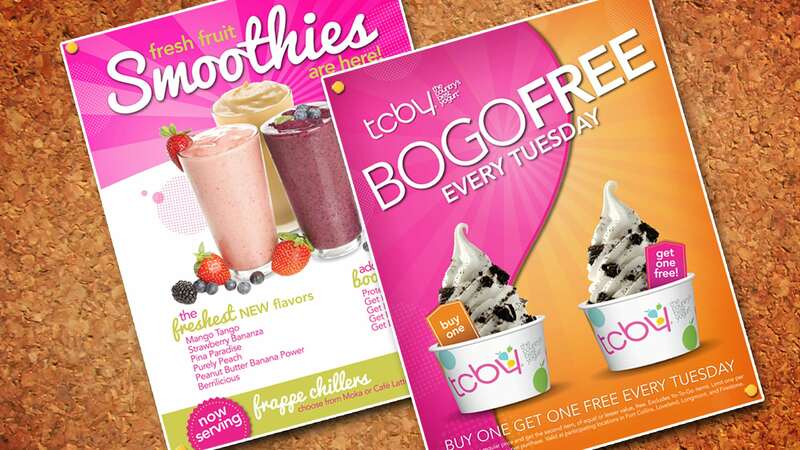 These stores needed a design that maintained corporate brand guidelines but provided the freedom of advertising to the specific local demographic. 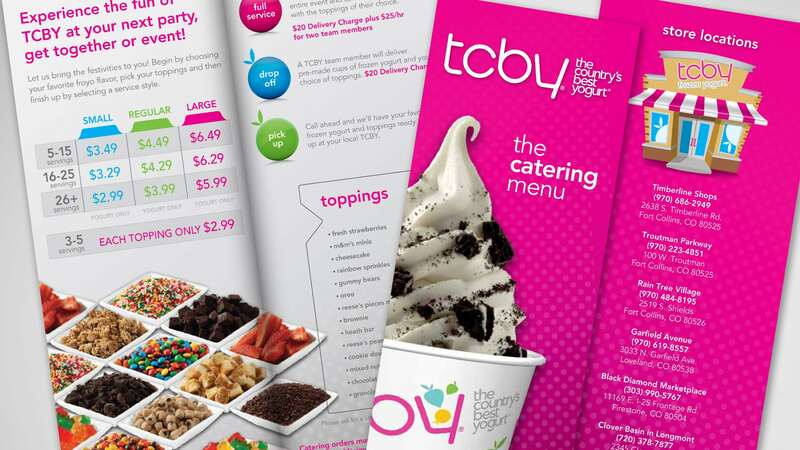 Having extensive experience working with large brands with prior agency roles, the management team at Tenth Muse successfully navigated within these corporate brand expectations and even provided menu designs back to the corporate marketing department to distribute out to all of their franchisees. 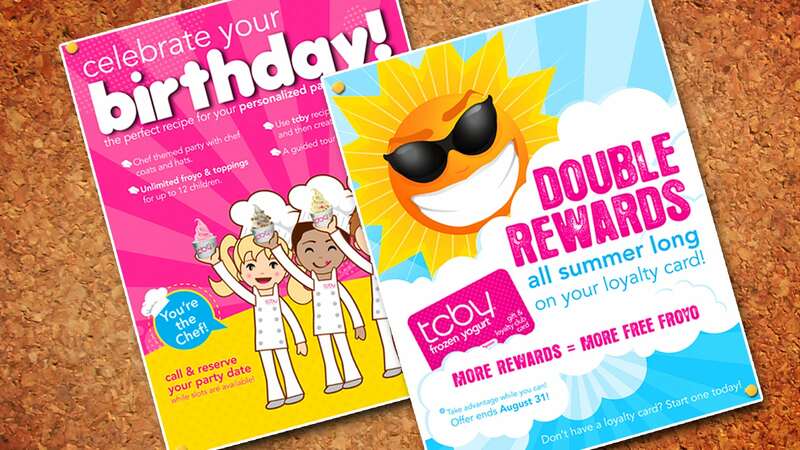 In this way, Tenth Muse has the ability to comply with or act as “brand police” depending on the situation. 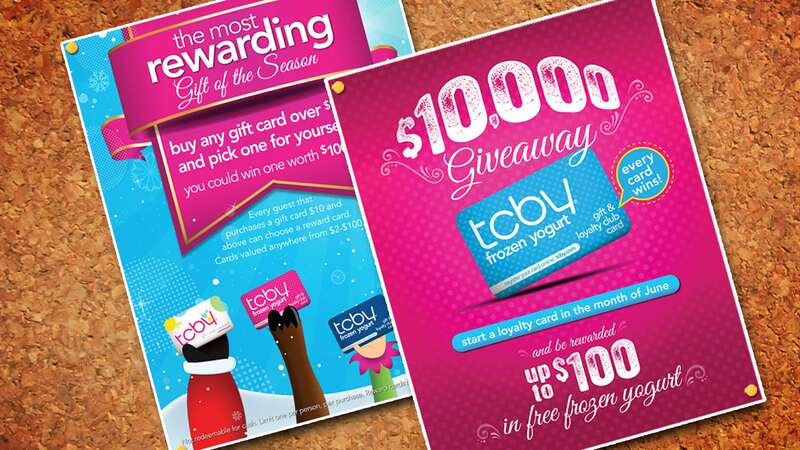 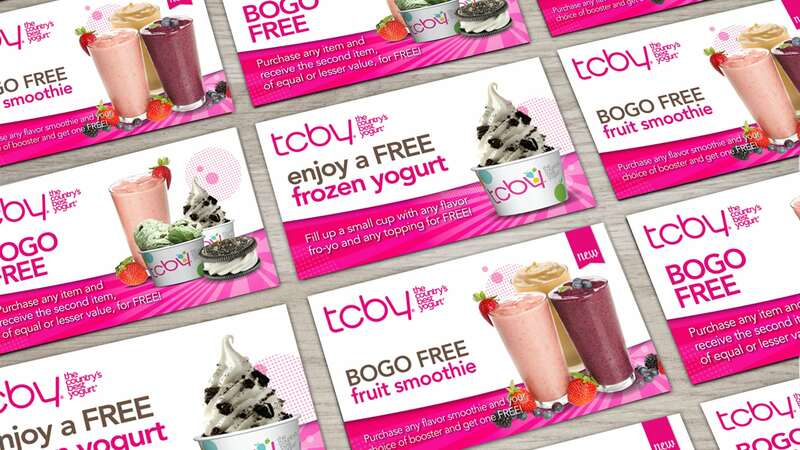 Tenth Muse had the pleasure of designing numerous traditional and digital marketing campaigns for TCBY including email marketing, social media posts, event posters, store signage, menus, billboards, online advertisements, and coupons. 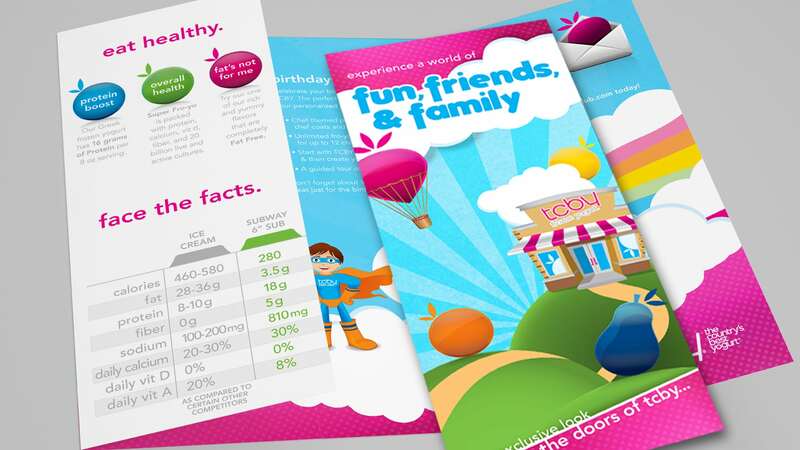 And of course, product sampling was required!